The Mission CISD (Consolidated Independent School District) Board of Trustees has taken final action to hire Dr. Cornelio Gonzalez as the district’s next superintendent of schools. The vote to hire was taken during a special meeting of the trustees this evening. The target date for Dr. Gonzalez to officially take the reins of the district is Monday, February 15. Rodriguez is leaving Mission CISD to join his wife who accepted a position with Dallas ISD (Independent School District) last summer. Dr. Gonzalez is coming to Mission CISD from Tuloso-Midway ISD in Corpus Christi where he has served as superintendent since 2005. He actually started his career in education here in the Rio Grande Valley as a teacher in Brownsville, where he also served as an assistant principal and dean of instruction. Dr. Gonzalez has seven years of experience as a superintendent of schools. His professional education background also includes time as the federal programs director at Progreso ISD, education specialist in the migrant education program at the Texas Education Agency in Austin, and superintendent at Lasara ISD. 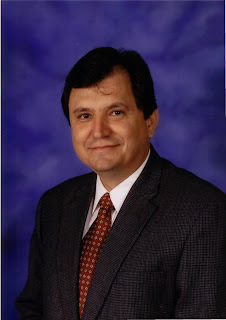 Dr. Gonzalez received a Doctorate of Philosophy in Education Administration from The University of Texas at Austin in 2001, a Masters of Educational Administration from The University of Texas at Brownsville in 1995, and a Bachelor of Arts from the Pan American University of Brownsville in 1985. Dr. Gonzalez is an honorary member of Kappa Pi, International Honor Society in Education, Pi Lambda Theta, International Honor Society and Professional Association in Education. He has participated in the Superintendent’s Academy at Lamar University and has made numerous presentations in professional conference across the United States. He has served as a member of the U.S.-Mexico Bi-National Migrant Education Committee, and the Texas NCLB Committee of Practitioners.